Child custody decisions are made according to the best interests of the child in all 50 states. Some states provide specific factors that judges should consider in determining the child's best interests. These factors can include the relative parenting competence of each parent, each parent's willingness to foster the child's relationship with the other parent and with siblings, the child's attachment to each parent and the stability of the child's environment. 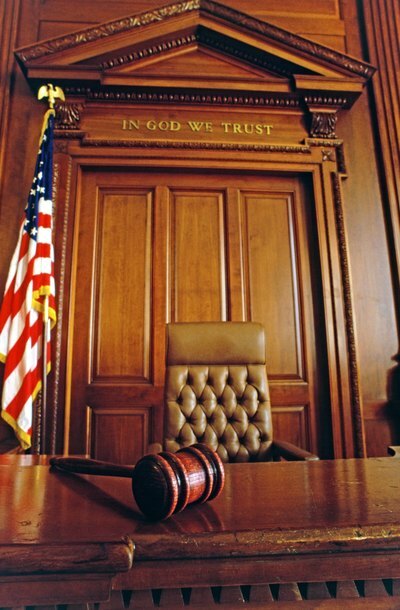 In temporary custody hearings, judges often favor the status quo. For example, if the father has been the primary caretaker for the child and is not unfit, he is more likely to be awarded temporary custody. At the hearing, you may present any evidence that demonstrates that you having temporary custody is in the child's best interest. Evidence can include school records demonstrating the child is doing well under your care; police reports of any abuse or violence with the other parent; emails and texts demonstrating problems with the other parent; and medical or psychiatric records. You may also call witnesses who can testify to your parenting competence or who have witnessed inappropriate behavior by the other parent. A few states allow witnesses at temporary hearings only if there is an allegation of abuse, so check state laws or consult your attorney before bringing witnesses with you. In many states, judges are authorized to appoint child experts to give testimony at custody hearings. These experts may include a court-appointed special advocate who investigates the child's living situation and makes a recommendation; a guardian ad litem who can file motions on behalf of the child and her best interests; or a psychologist who can administer evaluations of the child and her parents. People seeking custody may also hire their own witnesses. If you disagree with the recommendation of a court-appointed expert, it can be helpful to hire your own expert to give a different opinion. Make sure the expert is qualified to give an opinion. For example, a psychologist who works primarily with the elderly may not be qualified to make a custody recommendation. After hearing evidence and arguments, the judge will issue a temporary custody order. These orders may last for a set period of time such as a year, or may expire when a final custody order is issued as part of a divorce decree. When temporary custody is issued because a parent is sick, in jail or otherwise unable to care for the child, the temporary order may expire when the parent is again able to care for the child. You must abide by the terms of the temporary order. Failure to do so is contempt of court. The Art and Science of Child Custody Evaluations; Jonathan W. Gould, et al. Custody disputes are often hardest on children, the very people for whom the disputing parties claim to advocate on behalf of. Unlike many states, Arizona does not set out a specific age at which a child may determine the parent with whom she lives. Instead, the desires of the child are considered with numerous other factors. All children, however, have a right to competent, non-abusive caregivers. There are several steps a child can take to ensure her rights are protected and wishes honored.